Last week, the website WikiLeaks posted thousands of emails illegally obtained from the Democratic National Committee. Some contained sensitive information about donors, while others provided a disturbing look into a potential bias underpinning internal deliberations and operational decisions at the DNC. As a Democrat, I am distressed by the appearance of favoritism in any form. However, as an American, I am deeply worried that our nation is still not adequately prepared for the new security challenges we face in cyberspace. When I founded the Congressional Cybersecurity Caucus in 2008, my foremost concern was that a cyberattack on critical infrastructure could result in physical damage, a fear made real with the attack on Ukraine’s electric utilities last December. While leading the caucus, I have also seen hackers break into databases in pursuit of financial information, trade secrets, and even personal details of government employees. All of these targets remain at risk. But I’m afraid that our understanding of the threats in cyberspace is not keeping pace with the rapid advances in technology and the avenues of attack they enable. 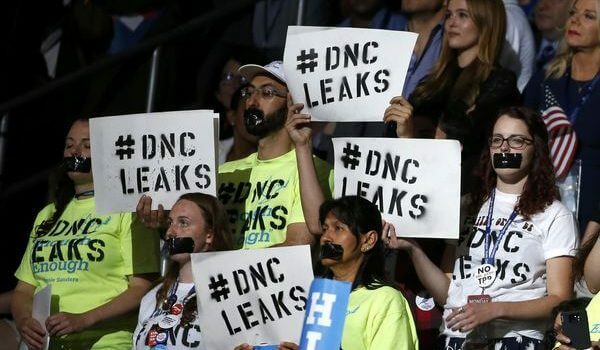 The DNC email leak, for instance, bears all the hallmarks of an information warfare operation, timed as it was to coincide with announcement of the Democratic vice presidential pick and the commencement of the convention. The doctrine of information war is not new. We saw it used extensively during the cold war and it continues to be used today. During the illegal Russian annexation of Crimea, local news outlets were flooded with false stories of repression of ethnic Russian populations. The Russian television network RT that broadcasts in English, Arabic, and Spanish has deliberately disseminated inaccurate stories favorable to the Russian regime. New media have also been targets of recent campaigns: Witness the Russian “troll armies” who sow confusion on comment boards across the internet. But these examples apply 20th-century thinking to 21st-century technology. In Crimea and with RT, Russia simply owns the television channels and can thus schedule programming as it wishes. The comment trolls rely on the free speech protections enshrined in many societies for decades or centuries. And, in this age of choose-your-own content, they rely on readers, viewers, or listeners making an active choice to tune in. This reliance hampers their ability to cause harm: after all, how many Americans watch RT? The DNC hack is different. The content is fresh, salacious, and stolen, which means American news outlets are more than happy to do most of the dissemination. Though the data passed through foreign servers and may have been modified, many of the emails are, undoubtedly, authentic: They are impossible to dismiss as purely propaganda. They are also anonymous – the face of the leaks to this point has been WikiLeaks founder Julian Assange, who was almost certainly not involved in the theft of the emails. All of which means we are likely to see many more hacks in this style. There has been a lot of speculation that Russia was behind the breach and the leak, and I have full confidence that government investigators will find those responsible. But whether the attack was carried out by the Russian government, at its behest, or by an independent party, the consequences of the hack are all too real. Those opposed to our interests know all this. They also know that the cost of attacking us in cyberspace is low. While attribution is steadily getting better, it has been complemented with the rise of state-sanctioned private hackers whose ties to governments are murky at best. So we have our work cut out for us. We need to raise our cyberdefenses in government and in the private sector, to make attackers work harder to get into our systems. We need to develop norms of nation state behavior in cyberspace that preclude attacks on civilian infrastructure and allow us to hold actors accountable. And we need to build resilience to lessen the payoff when breaches inevitably do happen. In the eight years I have been working on cybersecurity, I have seen the issue gradually take on prominence. Most of my colleagues in Washington understand that the benefits we reap from our interconnected economy bring risks as well. But despite breach after breach, there is still not a sufficient urgency to the discussion. Cybersecurity is the security challenge of the Information Age. Our adversaries clearly know it; shouldn’t we? Congressman Jim Langevin, a Democrat from Rhode Island, is the cofounder and cochair of the Congressional Cybersecurity Caucus, and a senior member of the House Armed Services and Homeland Security Committees. At the roll call vote in Philadelphia this evening, the Democratic National Convention formally nominated Hillary Rodham Clinton as their candidate for president. 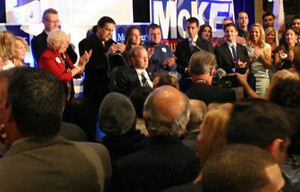 The votes of Rhode Island’s 32 delegates were announced by Speaker of the House Nick Mattielo, who, in the tradition of nominating speeches, took the opportunity to sing the praises of the state. When the roll call vote concluded, attendees in the Wells Fargo Center went into a prolonged celebration, cheering and waving Hillary placards. Democratic Party Chair Joe McNamara echoed those sentiments. WARWICK, RI — Staying in school and preparing for college aren’t easy tasks for most students, so RI’s representatives in Congress are celebrating a $476,854 federal Educational Talent Search grant for the Community College of Rhode Island (CCRI) bolstering scholars’ study and career search skills. U.S. Senators Jack Reed and Sheldon Whitehouse and U.S. Representatives Jim Langevin and David Cicilline have announced a $476,854 federal Educational Talent Search grant for the Community College of Rhode Island (CCRI). The Rhode Island Educational Talent Search (RIETS) program at CCRI provides a range of support services for students in grades 6 through 12, including help with study skills, test preparation, career counseling, and assistance in applying for financial aid. While the program serves the entire state, it provides extensive and comprehensive services in three communities (Central Falls, Providence, and Woonsocket), and is projected to reach over 1,000 students in the coming year. 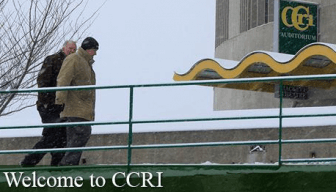 “CCRI does a terrific job of reaching out to students and providing them with opportunities for academic development. This federal funding will enable CCRI to reach more young people, help them stay in school, and achieve their goals in the classroom and beyond,” said Senator Reed, who helped secure a $60 million increase for Fiscal Year 2016 for the TRIO programs, including Talent Search, as a member of the Labor, Health and Human Services, and Education Appropriations Subcommittee. “Every student deserves the opportunity to pursue higher education,” said Whitehouse. “Too often, promising low-income middle and high school students fall behind and ultimately miss the opportunity to go to college,” said Cicilline. “CCRI’s Rhode Island Education Talent Search prevents these students from falling through the cracks by identifying them at an early age and providing them the resources they need to make a successful jump to higher education. It was after a year and a half of college that 19-year-old Hannah Cook-Dumas realized education was not for her. She decided to pursue an “old dream” of welding. A graduate of Tiverton High School, Cook-Dumas began welding at the age of 14 in the family garage. Taught by her father, she enjoyed taking on small projects to fix and build things. Growing up, she had always heard about the need to go to college, but was unsure of how to move forward to progress in the trade. She finally landed an apprenticeship with a retired employee from Electric Boat who encouraged her to apply to the company herself. Lo and behold she got the job, training with New England Institute of Technology (NEIT) and continuing her education with various certifications. 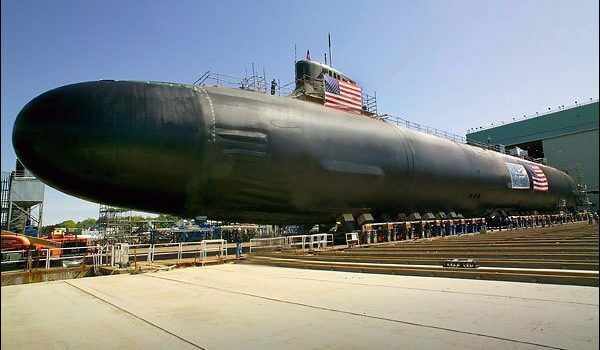 General Dynamic Electric Boat hopes to hire thousands of employees just like Cook-Dumas as they expand to fulfill contracts with the U.S. Navy. Currently, Electric Boat employs 3,500 at Quonset Point and is expected to grow to 5,500 by the end of the 2020s. On July 19 Governor Gina Raimondo, the Department of Labor and Training and Electric Boat unveiled a long-term workforce development plan to ensure Rhode Islanders are the ones employed to those new positions at the Quonset Point facility. Earlier this year Raimondo announced that the state and Electric Boat would be partnering with six career and technical schools throughout the state, including the Warwick Area Career and Technical Center, to begin and improve existing programs in welding, ship-fitting, machining and manufacturing pathways. Over the next two years the program is expected to see nearly 200 students enrolled with the capacity to graduate 350 students annually as the program grows. Electric Boat will provide support career and technical schools instruction as well as provide paid student internships on site. Similarly, Real Jobs RI, awarded a $369,500 to the “Pipelines to Manufacturing Careers in Shipbuilding,” a “sector partnership” led by Electric Boat. The strategic plan previewed Tuesday builds off the previous programs by increasing post employment training for maritime trades at New England Tech as well as the Community College of Rhode Island’s new Westerly Higher Education and Job Skills Center in January 2017. NEIT will also be expanding their Ship Building and Advance Manufacturing Institute (SAMI) from Post Road to the Access Road Campus. CCRI’s Westerly Satellite along with the new skills center will offer maritime sheet metal pipefitting and electrical programs. A post-employment training model will allow new employees to be on the Electric Boat payroll before receiving their training from wither NEIT or CCRI. The Congressional Delegation praised Raimondo similarly. Governor Gina M. Raimondo and Electric Boat (EB) today unveiled a strategic workforce plan aimed at addressing long-term hiring opportunities at Quonset Point. EB’s Rhode Island facility currently employs 3,500 workers, and the company expects to employ more than 5,500 workers by the end of the 2020s. In May, Raimondo and state education leaders announced a pre-employment partnership through which EB is opening welding, ship-fitting, machining, and manufacturing programs at six sites this fall for a total enrollment over the next two years of about 200 students. Additionally, Raimondo’s central job-training program, Real Jobs RI, awarded a grant of $369,500 to the Pipelines to Manufacturing Careers in Shipbuilding, a sector partnership led by EB. Additionally, through a pilot post-employment training model that began in May, candidates who qualify can be placed on EB’s payroll before receiving technical training at New England Tech or CCRI. “This work is vitally important to meeting our national security needs and to strengthening our economy. This workforce development model will also serve as a blueprint for how a more demand-driven workforce development system can achieve results for employers and employees. This is truly a collaborative effort, and I will continue doing my part to make strategic investments to ensure Rhode Island is a high-tech hub of undersea technologies now and in the foreseeable future,” said U.S. Senator Jack Reed, the Ranking Member of the Senate Armed Services Committee, who helped include $5 billion for the Virginia-class submarine program and $1.5 billion for the Ohio-class submarine replacement program in the FY 2017 National Defense Authorization Act (NDAA). “We applaud the governor and her administration for their foresight in establishing partnerships with businesses like Electric Boat, which will provide Rhode Islanders with the opportunity to develop valuable job skills in the advanced manufacturing sector,” said Maura Dunn, General Dynamics Electric Boat Vice President of Human Resources and Administration. Less than 48 hours after a Muslim community center in Kingston was vandalized, the South County community came together in a show of solidarity against violence of all kinds. Late Thursday, the center’s windows were shattered and the words “Muhammad Prophet of Butchers” were painted in red on the front of the building. It happened just moments after the terror attack in Nice. “We time and time again are victimized as a result of other people’s actions who are acting in the name of Islam but not doing anything that stands for the religion of Islam,” said Wendy Manchester Ibrahim of the Rhode Island Council for Muslim Advancement. Now, the graffiti is gone and the windows are covered. People of all faiths and backgrounds sat together Saturday afternoon to show support with the Muslim community. “Your presence here tells me I should not be afraid,” said Nasser Zawia of the center. At the interfaith gathering, there was a diverse group of speakers. “When this happens to any one of our houses of worship, it happens to all of us,” said Reverend Don Anderson of the Rhode Island State Council of Churches. “In our community we have felt the slings and arrows of hatred,” said Rabbi Howard Voss-Altman of Temple Beth El. “We know who will ultimately prevail and it is not hatred and it is not evil. It is people like us coming together,” said URI President David Dooley. The message at the gathering was one of positivity. “Something beautiful has come out of something ugly. And people have come together. That room was full with people of different cultures, faiths, backgrounds, orientations,” said Congressman Jim Langevin. South Kingstown police are still investigating the incident. So far no arrests have been made. Reps. Jim Langevin, D-R.I., and John Ratcliffe, R-Texas, introduced two bills Thursday to strengthen joint cybersecurity research and development efforts between the U.S. and Israel. The bills seek to formalize a grant-funding program for early-stage cyber innovation and to expand an ongoing R&D program jointly conducted by the Homeland Security Advanced Research Projects Agency and Israeli Ministry of Public Security. “Our recent discussions with Prime Minister [Benjamin] Netanyahu confirmed just how important it is that we unite forces to formulate ongoing, effective strategies to best address the rapidly evolving cyber threats faced by both of our nations. After all, cybersecurity is national security,” Ratcliffe said in a statement. 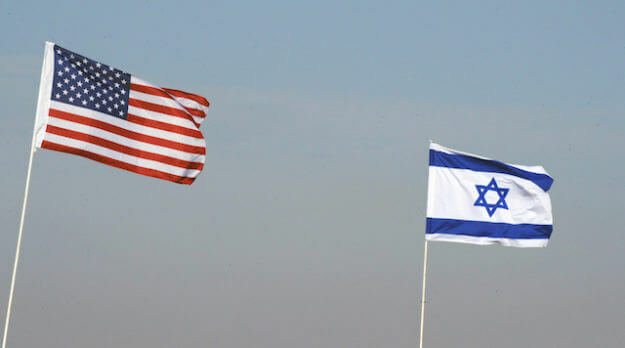 Introduction of the bills comes two months after a Congressional delegation traveled to Israel to meet with government officials regarding joint cybersecurity operations. Langevin’s proposed R&D grant program — under the bill titled the United States-Israel Cybersecurity Cooperation Enhancement Act of 2016 — would rely on a peer-reviewed application process “tailored to [the] research requirements” of the Secretary of Homeland Security and reviewed by two U.S.-Israeli scientific organizations: the U.S.-Israel Binational Science Foundation, or BSF, and Binational Industrial Research and Development foundation, or BIRD. The BSF describes its mission as “supporting collaborative research projects in a wide area of basic and applied scientific fields, for peaceful and non-profit purposes” while BIRD is more of a “matchmaking service” between Israeli and American companies that are conducting research and developing technology products. A spokesperson for Langevin told FedScoop the funding provided by the United States-Israel Cybersecurity Cooperation Enhancement Act would only “be available for projects that are joint with an Israeli and an American partner.” Decisions on what constitutes such a partnership will be made by the Secretary of Homeland Security. “Grants will be available [to applicants] across the spectrum, from academics conducting basic research in collaboration, to mature companies bringing homeland security relevant products to market. This could certainly include startups,” the spokesperson said. The Advanced Research Partnership Act of 2016, for which Ratcliffe is sponsor, aims to add money to a standing research program between DHS and the Israeli Ministry of Public Security. Notably, the program’s expansion will now enable it to tackle cybersecurity. In January, Israeli government officials announced the country controlled roughly 20 percent of international market share in cybersecurity products, second only to the United States. Jim was one of those kids who always knew what he wanted to be — first a policeman and eventually an FBI agent. He grew up middle class in Warwick with a dad who ran a hardware store and a mom who was a career counselor. Jim was so sure he wanted to be a cop he began interning for the Warwick police at age 12. He was still doing it four years later the summer of his 16th year, clerking, answering phones and running errands. He was the kind of earnest cadet who ironed his uniform himself before each shift. On this particular Friday, he did the same, heading to the station locker room and suiting up. Two officers were nearby looking at a new .45-caliber semiautomatic. One officer ejected the clip and handed the gun to the other, who didn’t realize a bullet was still in the chamber. He aimed what he thought was an empty gun at a locker and pulled the trigger. The bullet ricocheted, piercing Jim’s neck and severing his spinal cord. The officers kept Jim breathing until a rescue arrived a minute later from the fire station across the street. By then, Jim was unconscious and his blue cadet uniform stained red as he lay on the white tile floor. They took Jim to the Kent Country Hospital ER. Days later, by the time they eased the sedation, he was in the spinal cord unit of the University Hospital in Boston, his head pulled taut by weights drilled into his skull beneath his blond hair. The doctors chose not to tell Jim of the severity of his injury at first. But after two weeks, Jim was able to speak, and began to ask, so they were honest. Not long after, his mother June came into his room. All she could say was, “I know, Jim.” She gave his hand a squeeze and realized he was unable to squeeze back. Jim was a sophomore at Bishop Hendricken when the accident happened. The administrators told his parents he could — and should — repeat the grade next year. But Jim’s mom and dad worried that falling behind would be one more loss for him, so they said they’d get tutors. The administrators said it wasn’t a good idea. But the parents wouldn’t yield — Jim would finish his sophomore year. It was their way of teaching their son his paralysis did not have to limit him. Back home, in his motorized wheelchair, Jim learned to type by wedging a pencil between his fingers and hitting the keys that way. But it was arduous so he would sometimes ask his mother to type his school papers. She would tell him she was sorry, but with three other kids, including a baby, and dinner to cook, she didn’t have time. “Why won’t you help me, Mom?” he’d say. Then she would go into a room where Jim couldn’t see her crying, her heart broken, but she knew it was the only way to teach him perseverance. Jim had to let go of his dream of becoming a police officer but he resolved to find a way to be a public servant. At age 24, he was elected to the Rhode Island House of Representatives. At age 30, he became Secretary of State. And last week, 36 years after his accident, at age 52, with eight terms as the only quadriplegic U.S. congressman in history, Jim Langevin announced he would run again in hopes of continuing his journey of perseverance.